Six panels of Nepalese paper, framed by sycamore with ebony corners, with gouache painting of plants and butterflies and a poem. Sycamore frames with ebony corners. 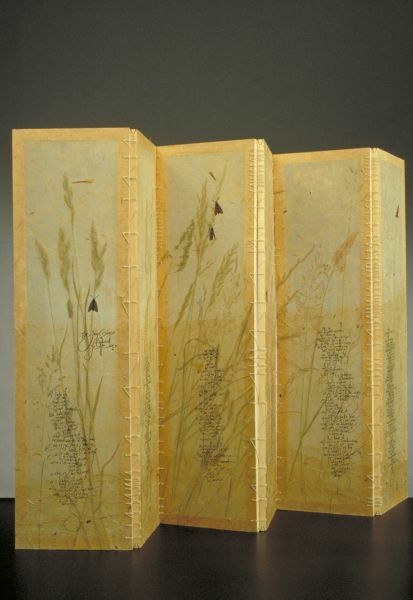 Nepalese paper backed with silk, grasses between, stuck with flour paste. Stick ink and vermillion mixed, ruling pen. Gouache painting. Hinges waxed linen.